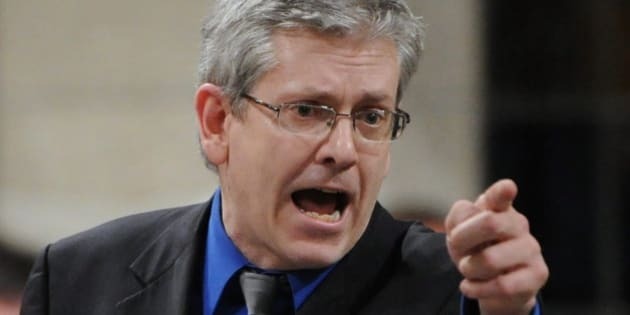 OTTAWA - New Democrat MP Charlie Angus is asking Senate ethics officer Lyse Ricard to investigate a gift of $90,000 that Conservative Sen. Mike Duffy received from the prime minister's chief of staff. The NDP ethics critic said the gift may have breached several Senate rules, as well as the Parliament of Canada Act. The Prime Minister's Office has acknowledged that Nigel Wright wrote a personal cheque to Duffy to cover the senator's repayment of improper housing expense claims. In a letter to Ricard, Angus said he finds the deal troubling. "Apart from the troubling fact that someone else is paying for Mr. Duffy's mistakes, it appears that in receiving this so-called 'gift' the senator may have breached several ethical rules of the Senate," he wrote. The Conflict of Interest Code for Senators stipulates that a senator may not accept "any gift or other benefit ... that could reasonably be considered to relate to the senator's position." Only gifts received "as a normal expression of courtesy or protocol, or within the customary standards of hospitality that normally accompany the senator's position," are allowed. Angus told Ricard it "goes without saying" that Wright's gift of $90,000 "is far from a customary standard of hospitality, nor a normal expression of courtesy." "But I also want to draw your attention to the fact that because this money served to reimburse overpayments received by Duffy as a senator, this is indeed a gift received in connection to his position." Angus also asked Ricard to determine if Duffy declared the $90,000 gift within the required time limit of 30 days. The controversy does indeed fall under Ricard's jurisdiction, he added. "We believe that a gift of such a large amount of money to a senator is sufficient evidence to launch an investigation." The living expense claims of Duffy and two other senators — Patrick Brazeau and Mac Harb, both of whom are no longer members of their respective Conservative and Liberal caucuses — were examined by independent auditor Deloitte after they were accused of improperly claiming a housing allowance intended to compensate those who must maintain a secondary residence in Ottawa. Deloitte concluded that all three live primarily in the national capital region, but also noted that the rules and guidelines governing primary and secondary residences are unclear. In March, well before the audits were complete, Duffy repaid the dubious expense claims, at which point he stopped co-operating with the auditors. In a news release, Angus urged the Conservative government to launch an independent investigation of the Duffy controversy. "With the prime minister’s own chief of staff in the middle, I also urge Conservatives to agree to immediately put in place an independent adviser to investigate these serious allegations." The government has hailed the decision to repay the expenses — government House leader Peter Van Loan even praised Duffy's "leadership" in the House of Commons — but never mentioned before Wednesday that the money came from Wright. The chief of staff is a well-to-do former businessman who made his money in the private sector before moving to Harper's office. Mary Dawson, ethics commissioner for MPs and public office holders other than senators, is reviewing the matter with Wright to determine whether he may have violated the Conflict of Interest Act. Her office has declined to specify which sections of the act might apply in this case, but there appear to be two possibilities. Sec. 8 prohibits a public office holder from using information obtained through his position to improperly further his own or another person's private interests. Sec. 22 requires a public office holder to disclose all assets to the ethics commissioner and to inform her of any "material change" within 30 days. A gift of $90,000 to Duffy could be seen as a material change to Wright's assets. It is not known whether he informed Dawson of the transaction.